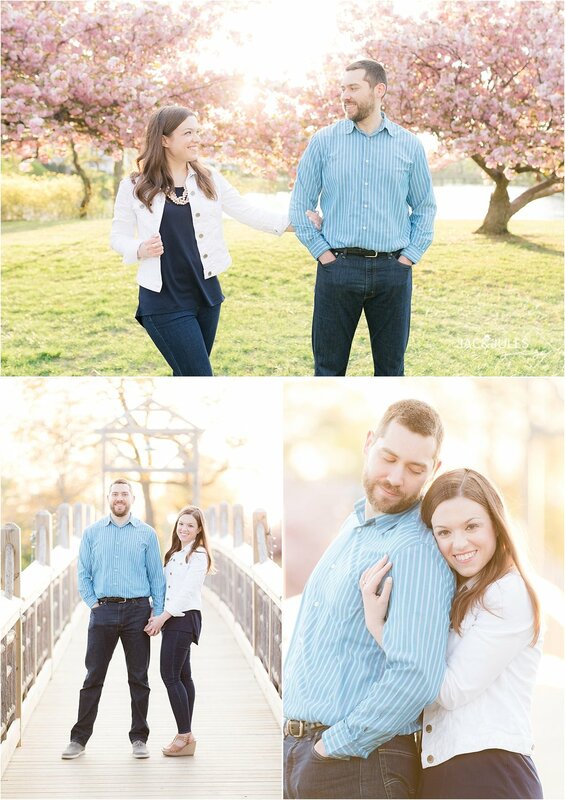 I am so in love with Amanda and Paul's engagement photos in Spring Lake at Divine Park with all these gorgeous Cherry Blossoms! 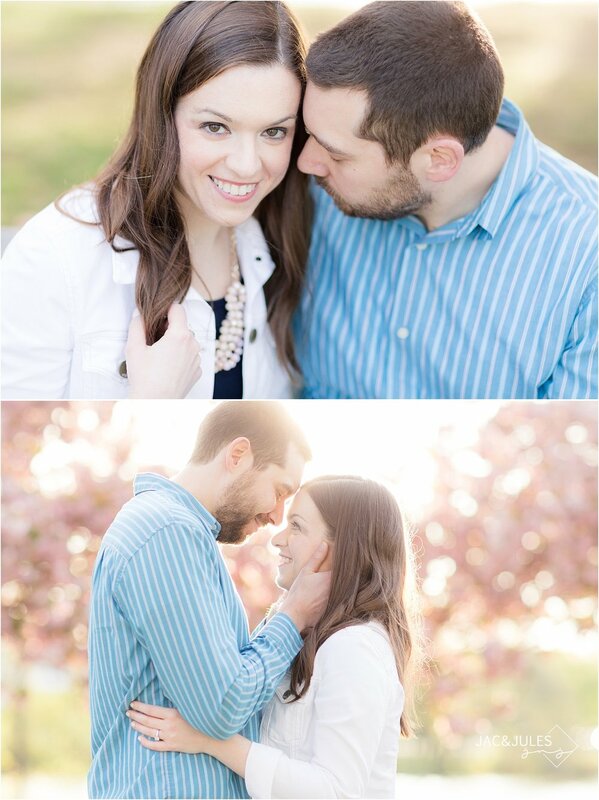 The light was so soft and romantic, and of course these two love birds made the most of it! They were so good at cuddling, my favorite photos are the candids of course! And I love that they added a personal touch by bringing their Yankee hats. It kind of stinks that we have to wait so long for their wedding at one of our favorite venues, Olde Mill Inn. It will be at the Grain House, which will be our first time there so that's also exciting! 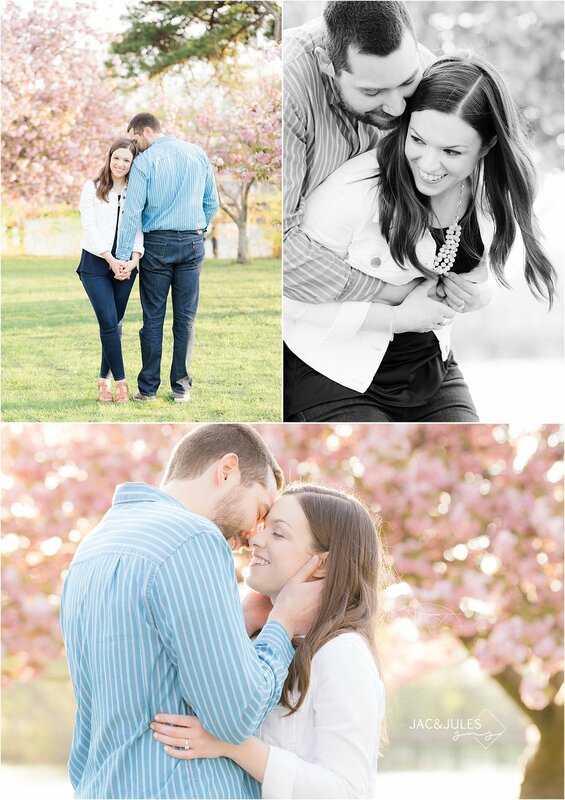 Take a look at some of our favorite photos from this romantic engagement session full of Cherry Blossoms at Divine Park in Spring Lake!